There’s a fascinating new Securities and Exchange Commission filing from Alpha Natural Resources that provides practically a blow-by-blow account of talks that led to Alpha’s proposed buyout of Massey Energy. On April 23, 2010, the Alpha board of directors met to discuss the possibility of pursuing a business combination with Massey in light of the strong strategic merit. At this meeting, the Alpha board of directors also received a presentation from Morgan Stanley & Co. Incorporated, which we refer to herein as Morgan Stanley, on certain financial information of Alpha and Massey in respect of a potential business combination between Alpha and Massey and possible financing considerations. The Alpha board of directors also discussed the possibility and potential process for submitting a proposal directly to Massey stockholders. In the days following the UBB explosion, Michael Quillen, Chairman of the Board of Directors of Alpha, and Kevin Crutchfield, Alpha’s Chief Executive Officer, each spoke with Mr. Blankenship numerous times by telephone to express Alpha’s concern for the UBB miners, their families and the entire Massey team regarding the UBB explosion and to offer Alpha’s assistance. Alpha, along with other nearby coal companies, provided rescue teams, at Massey’s expense, to aid in the rescue effort at the UBB mine. Start on page 65 of that SEC filing, and you can go through about 20 pages that provides the most detailed timeline I’ve seen of the events leading up to the biggest business deal in the coal industry in years. Shortly thereafter, Mr. Blankenship held a call with Admiral Bobby Inman, lead independent director of Massey, and Dan Moore, a director of Massey, to update them about the meeting he had with Mr. Quillen. Mr. Blankenship stated his opinion that a potential business combination with Alpha was not in the best interests of Massey’s stockholders at the time due to the depressed market value of Massey stock immediately following the UBB explosion, which did not adequately reflect Massey’s reserve base, and the fact that the board of directors and management’s focus continued to be on the UBB explosion and the integration of Cumberland. Adm. Inman and Mr. Moore expressed their agreement. Subsequently, on May 4, 2010, given the uncertainty surrounding the various litigation matters and investigations related to the UBB explosion, management of Alpha determined to indefinitely suspend efforts to pursue a potential business combination with Massey. On July 19, 2010, the Alpha board of directors met by telephone and discussed the latest developments with respect to Massey and the current status of the investigations into the UBB explosion. The Alpha board of directors also received a presentation by Alpha’s management regarding an update on the relative share price performance of Alpha and Massey and on certain financial information of Alpha and Massey in respect of a potential transaction between Alpha and Massey. The Alpha board agreed the appropriate next step would be delivery of a private, non-binding communication to the Massey board of directors suggesting that the parties explore a potential business combination. 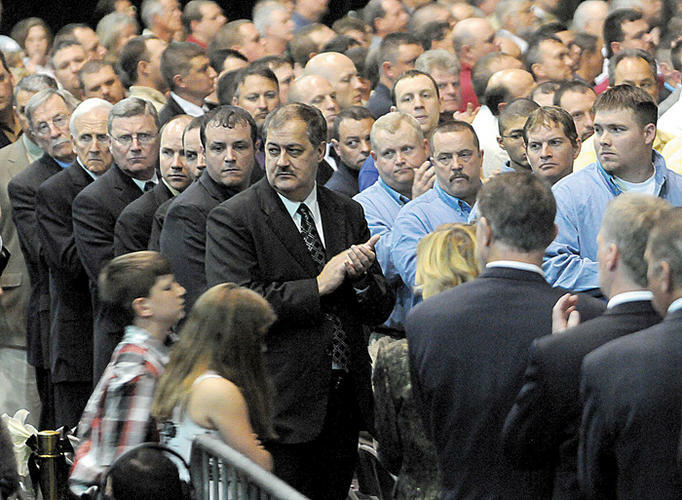 On August 2, 2010, after roughly three months had elapsed since the parties’ last discussion and the immediate aftermath of the UBB explosion was behind Massey, Mr. Crutchfield telephoned Mr. Blankenship to renew talks regarding a possible transaction and to arrange a meeting on August 5 to discuss a transaction in further detail. On August 11, 2010, Alpha sent Massey a non-binding proposal, which confirmed in writing Alpha’s interest in pursuing a potential allstock business combination that would deliver to Massey stockholders a premium of 20% over Massey’s then-current stock price of $30.99. The proposal emphasized the substantial synergies inherent in a combination of the two companies. Based on the closing price of Massey common stock on that date, the Alpha proposal represented a value of approximately $37.19 per share of Massey common stock. On August 16, 2010, a wholly owned subsidiary of Alpha purchased 1,000 shares of Massey common stock. On September 13, 2010, Alpha sent a non-binding letter to Massey proposing, among other things, an all-stock combination of Alpha and Massey at an exchange ratio of 1.0 share of Alpha common stock for each share of Massey common stock, representing a premium of 26% to the implied exchange ratio as of that date. Based on the closing price of Alpha common stock on that date of $41.07, the proposal represented a price of approximately $41.07 per share of Massey common stock. The letter noted that Massey stockholders, as owners of approximately 45% of the combined company, would also participate significantly in the anticipated merger synergies. Alpha also noted in the letter that they remained unwilling to execute a confidentiality and standstill agreement absent an indication from Massey that there might be an actionable transaction for the parties to pursue. On September 17, 2010, on behalf of the Massey board of directors, Mr. Blankenship sent Mr. Crutchfield a letter agreeing to a meeting with Alpha on September 28, 2010 without a confidentiality and standstill agreement in place as a courtesy to Alpha and to further inform the deliberations of the Massey board of directors by understanding more about Alpha’s proposal. The letter also noted that the timing for the proposed discussions had not been opportune due to the UBB explosion and that the value in Alpha’s non-binding proposal was far below what Massey’s board of directors considered to be worth pursuing. Subsequent to their September 28 meeting, Mr. Crutchfield and Adm. Inman spoke to each other by telephone on a number of occasions, with Adm. Inman providing Mr. Crutchfield with updates regarding the steps that the Massey board of directors and later the strategic alternatives review committee (described below) were taking to review the strategic alternatives available to Massey, including a possible business combination. Throughout the course of these conversations, Adm. Inman gave Mr. Crutchfield assurances that although Mr. Blankenship questioned whether the time was right to consider a business combination, the Massey board of directors was willing to consider a business combination with Alpha or another party at an appropriate price and other terms. In these conversations, Adm. Inman emphasized that the Massey board of directors and strategic alternatives review committee would need adequate time to review the strategic alternatives available to Massey. 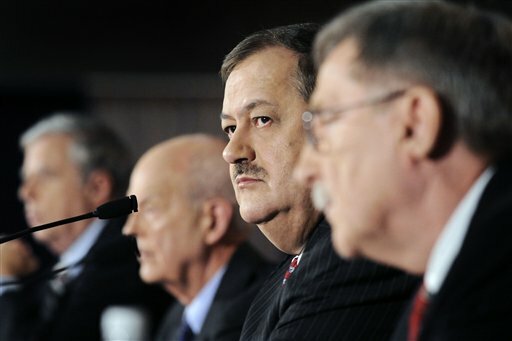 During the summer and fall of 2010, Mr. Blankenship had informal discussions with certain members of Massey’s board of directors as he contemplated retiring, having served as Chairman of the Board and Chief Executive Officer of Massey for over a decade. During this same time frame, as Massey’s board of directors took into consideration the environment in which Massey found itself and as it reflected upon Massey’s future prospects as a stand alone company, the board of directors assessed whether Mr. Blankenship as Chairman of the Board and Chief Executive Officer provided the most viable option for Massey going forward. In connection with these discussions, Mr. Blankenship elected to submit his resignation to Massey’s board of directors. On Jan. 29, the merger was announced … There’s a lot more detail there about these important events, so give it a read.